In just three simple steps you've got yourself a Tastykake Ghoulish Ghost Pop for your child's Halloween class. 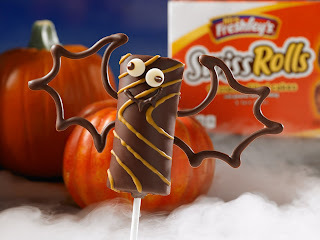 Insert a cake pop stick into one end of a Butterscotch Krimpet. Using black icing, draw on the ghost's mouth and eyes. 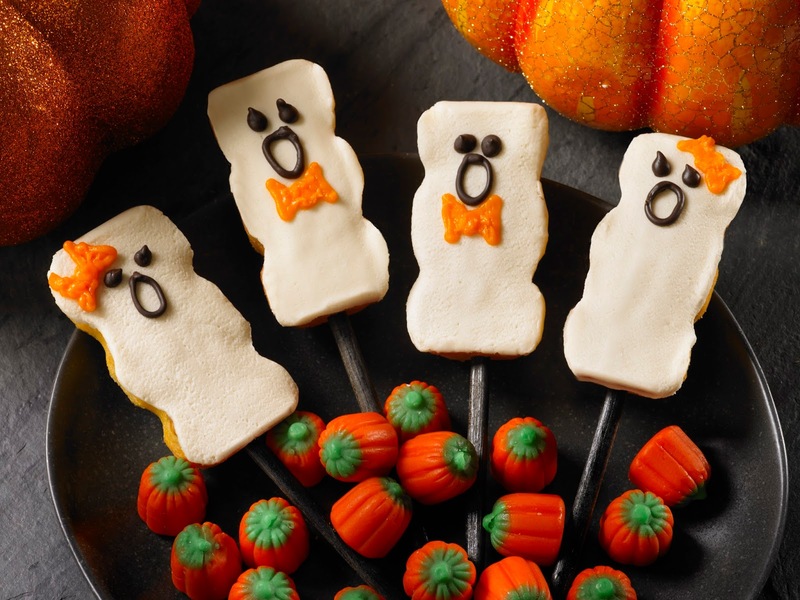 If you want to dress up your ghosts, give them a bow tie or hair bow with orange icing.